I hope this How to Organize Your Home series has been helpful to you! 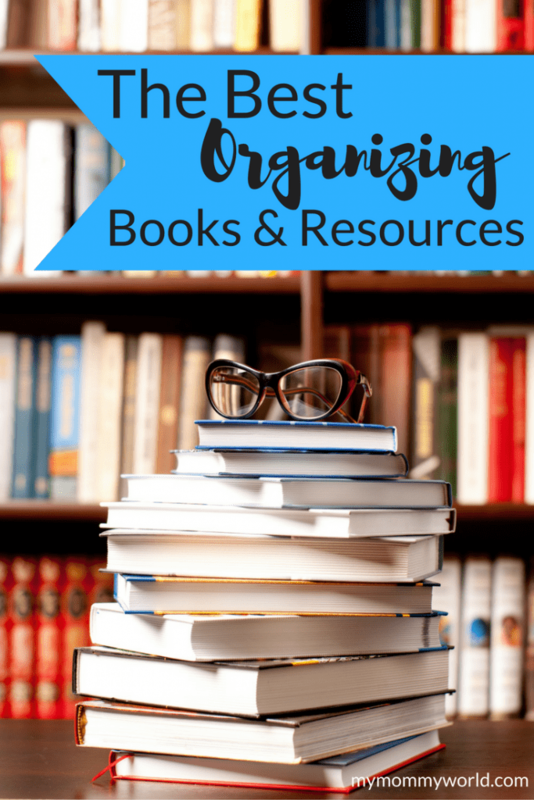 I think we’ve covered the main areas of the house, but if you feel like you need more help with getting your whole house organized, I wanted to point you in the right direction to some of the best organizing books and resources that I have used and loved. As many of you probably know, I am an avid reader, so I always turn to books when I want to learn more about a certain topic or get ideas on how to do something. For example, when I was organizing my kitchen cupboards, I didn’t realize that it would be easier/cleaner/faster to put all of our vitamins into small containers to organize them. That method worked so much better than lining the bottles up into rows and then trying to keep them straight everyday. 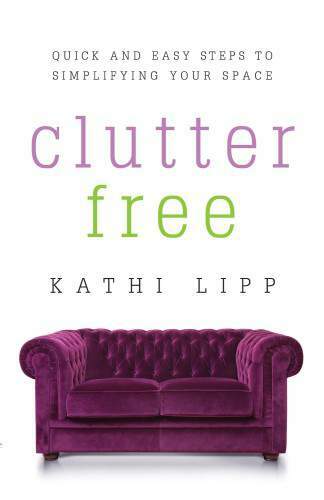 I know I’ve mentioned this book several times in the series, but I just love and adore Kathi Lipp’s Clutter Free (affiliate link). This book is not a traditional book on organization, although there are great tips inside for decluttering. It’s main goal is to get at the why of decluttering and organizing…why it needs to be done, and why you can’t let go of stuff. If you are having trouble getting rid of your clutter, you have to pick up this book! I promise that you will learn a lot about yourself and why you keep needless clutter. Kathi also has a podcast called Clutter Free Academy, which I listen to each week. Not only does Kathi teach here on physical clutter, but she goes deeper with mental and emotional clutter too. So I’m not sure how I first was introduced to Lisa at Organize 365…I think it might have been through a blogging group we are both in…but I am SO glad to know her. I ended up on her 40 Weeks, 1 Whole House list, started the challenge, and was instantly hooked on organizing! When I saw how much better my life worked with the systems she was helping me set up, I knew how important it was to get the whole house in order. My favorite idea of Lisa’s is the Sunday Basket, which has worked so well for our family. It has helped me stay on top of bills, the kids’ school papers, as well as all those other miscellaneous home management, medical and tax papers that we all have. (And my kitchen counter stays clear of junk because of it!). There are also a lot of articles on organizing different parts of your home on Organize 365, and I would encourage you to check out her blog if you are stumped on how to organize a certain area. Thanks Erin for the book recommendation. I have Lisa’s books, I struggle with paper clutter but I’m slowly getting it under control. This was a great series.